DIN Rail, Symmetrical, Slotted. DIN 3. Type: PR30 (TS 35/F6). 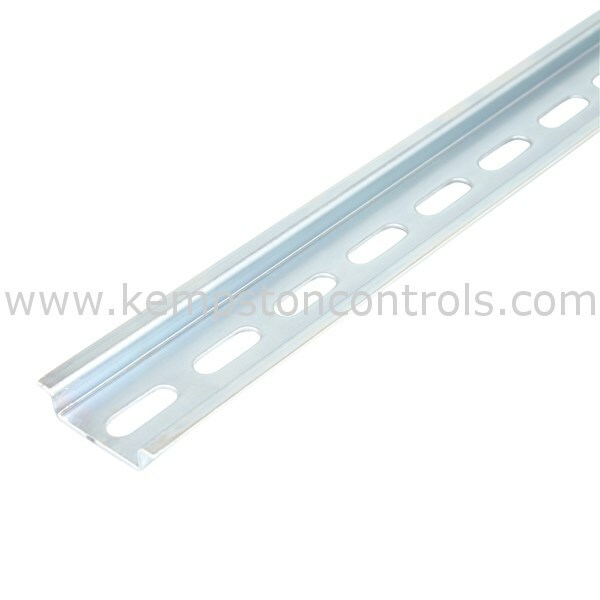 Material: White Passivated Galvanized Steel. Length: 2 Meters. H x W: 7.5mm x 35mm.